That would be the hippy-ish shortened story but in actual fact there’s more to say. The Pentastar V6 is probably one of the tipping over points Chrysler will have to manage in order to help itself along to a recovery from the financial issues of yesteryear. Naturally, a good way to do this would be to try and utilize it in as many cars as possible but adaptations take time. So why would the Jeep Wrangler be the next one to get it. Well, because so far the company is seriously lacking in the rugged off-roader looks department. If there’s anything more iconic than the Jeep brand I’m out of my mind. In fact, popular folklore still speaks of most off-roaders as Jeeps in many countries around the world. Therefore we have a good car and a good engine, so far so good. But there’s more. Even if the Jeep Wrangler will be prioritized to get a Pentastar V6 it still won’t be available sooner than 2012. That’s pretty poor. To cheer you up, you can drool over the improvement this will mean for the Jeep Wrangler. 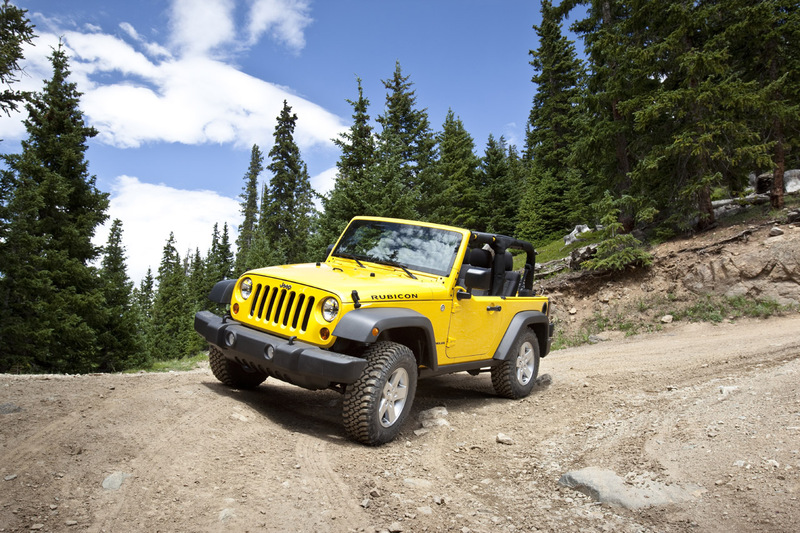 Your 2012 Jeep Wrangler will offer a 3.6 liter V6 engine that develops somewhere between 283 and 305 horsepower. Not only is that a massive improvement over the current 3.8 liter V6 at 202 horsepower but the new engine is also lighter and more economical.